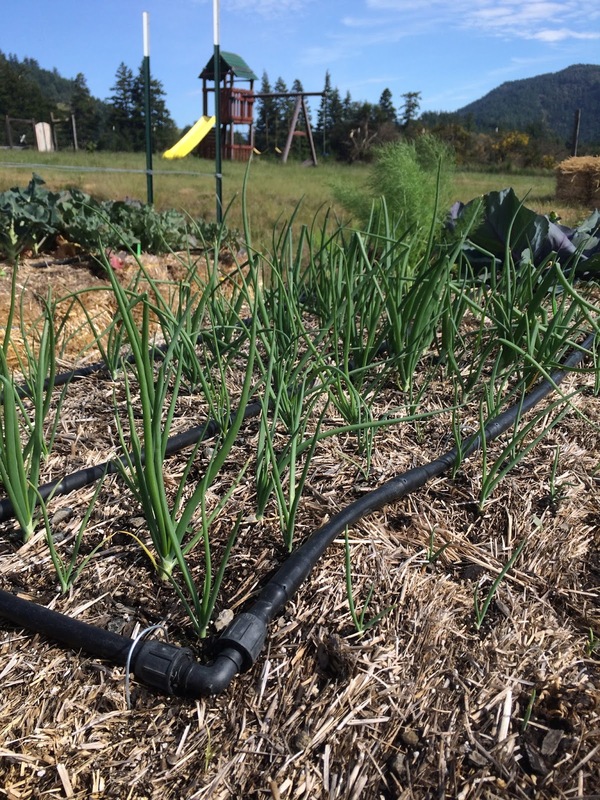 Wide Bale bed growing keeping onions. I took some photos of the straw bale garden yesterday. 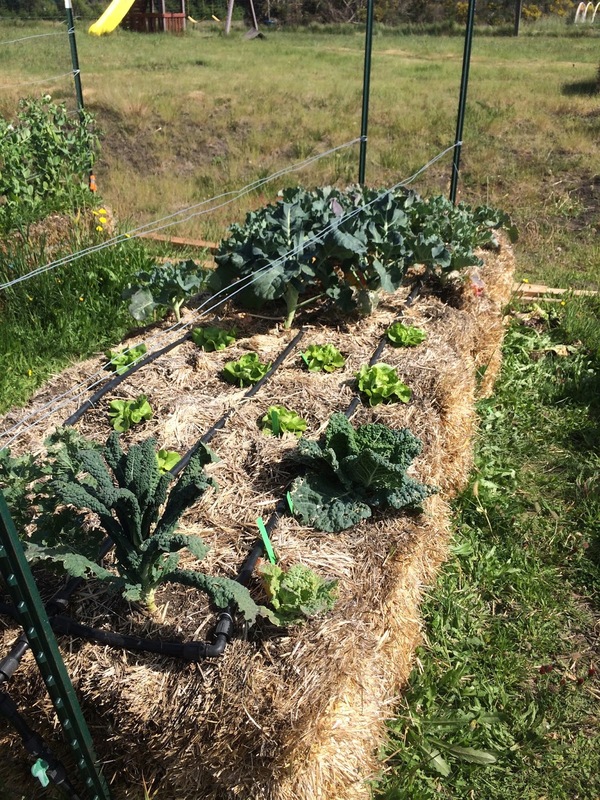 So many of my neighbors keep asking how the straw bale garden is going. I'm as curious as they are. Since I last posted, I transplanted out the rest of my tomatoes, the peppers and eggplants, the zucchini and the tomatillos. I'm not really sure what to say when people ask how it's going. I don't have any reference. 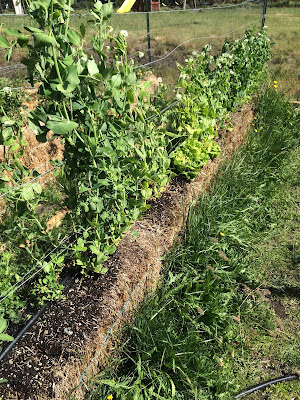 On the one hand, the plants are alive, and aren't getting eaten by gophers (despite ample evidence of gophers around the bales). On the other hand, they are growing differently than they do when planted in soil, which until now is the only way I have ever grown vegetables. I'm not sure if I'm seeing the kind of growth and flourishing I'd like to see. I'm getting the sense that some of the bales maybe aren't as decomposed inside as I would like, but I don't know yet if this is important or not. I can't tell if I'm overwatering or under-watering. Sometimes the plants look dry and the bales don't seem that wet inside, but some bales seem very wet and too cold inside. For now, I'm going with trusting that the bales and the plants will figure it out, even if I am making mistakes. One thing I'm unsure about is our water line. 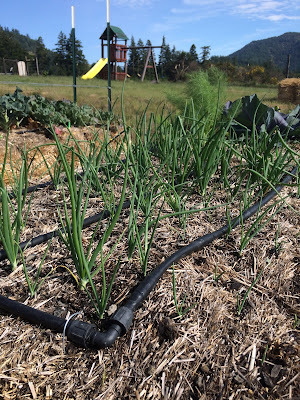 The author of the straw bale garden book uses soaker hoses to water his bales, but I'm using half-inch drip line, with emitters every 9 or 12 inches (depending on when I bought it!). It's possible that this type of water line doesn't provide enough volume to saturate the bales. 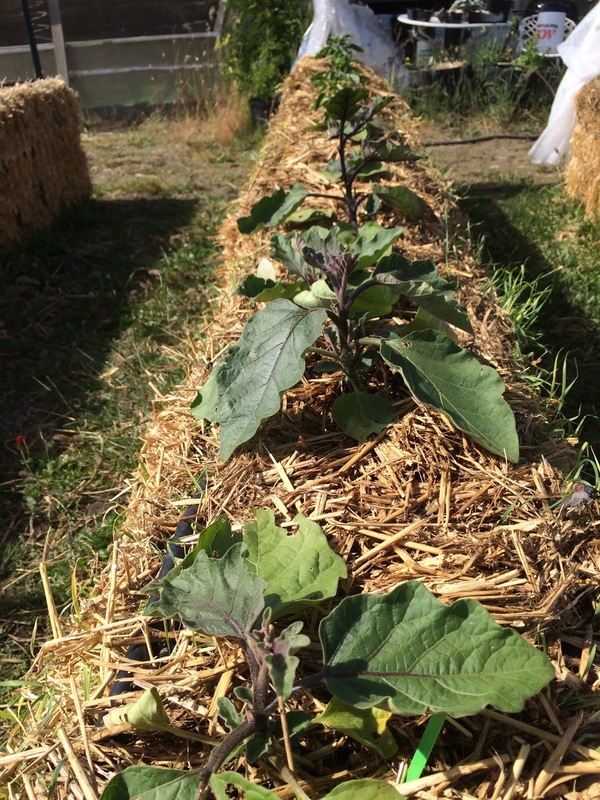 It also seems like the root balls would like an easier substrate to move through, and that some of our bales more than others are very dense, and even with the decomposition that has started inside, they are fibrous and tight. In the tomatoes, especially, it seems that the plants above ground are reflecting contained roots in a way they don't when grown in soil. Drew suggested it might be the heavy winds we get in the spring. All this to say that this method and my use of it are a trial-by-fire experiment, and I'm enjoying seeing the results. 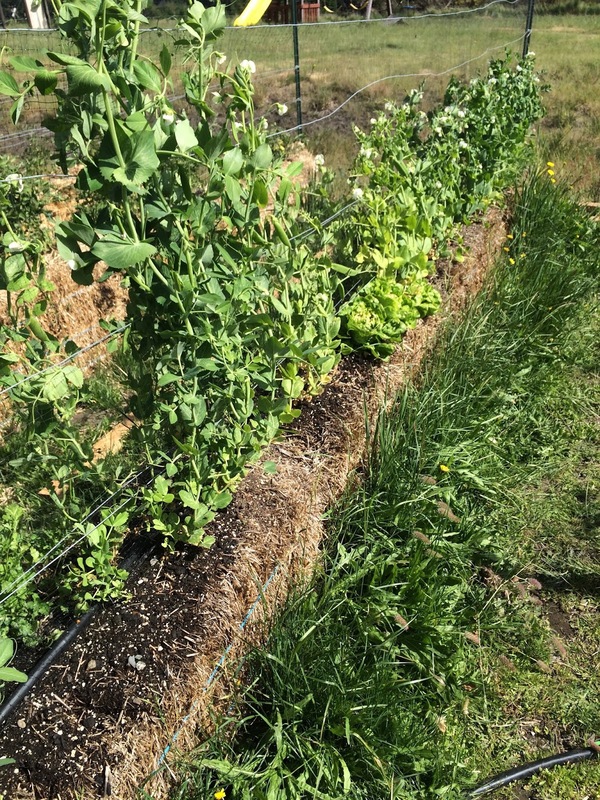 There are many aspects that ARE working well: no gopher damage, very little weeding, no trouble with symphylans (a soil-dwelling organism that nibbles on growing root tips, stunting the growth of the plants), instant garden in the front yard, easy access for harvest, built-in trellis and support for row covers, and no need to water, since everything is on a timer. We've already eaten bok choi, broccoli, lettuce, radishes, and peas. Stay tuned! Scroll down for some more photos. Other Wide bed, with fresh lettuce starts and broccoli and cauliflower. The pea bed: sugar snaps, snow peas, and shelling peas. Two of three tomato beds: sauce, cherries, early, and slicers. Zucchini and tomatillo bed, soon to add cucumbers. 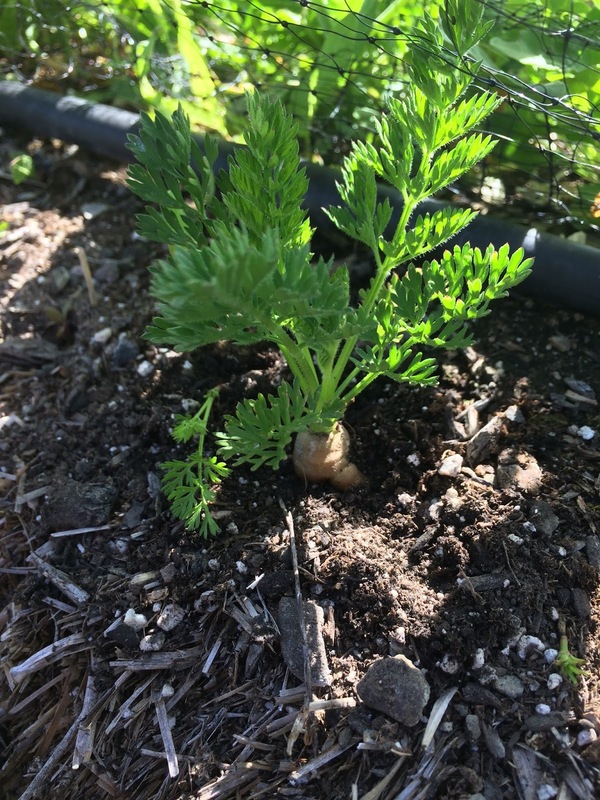 One lone carrot that made it from the initial planting. 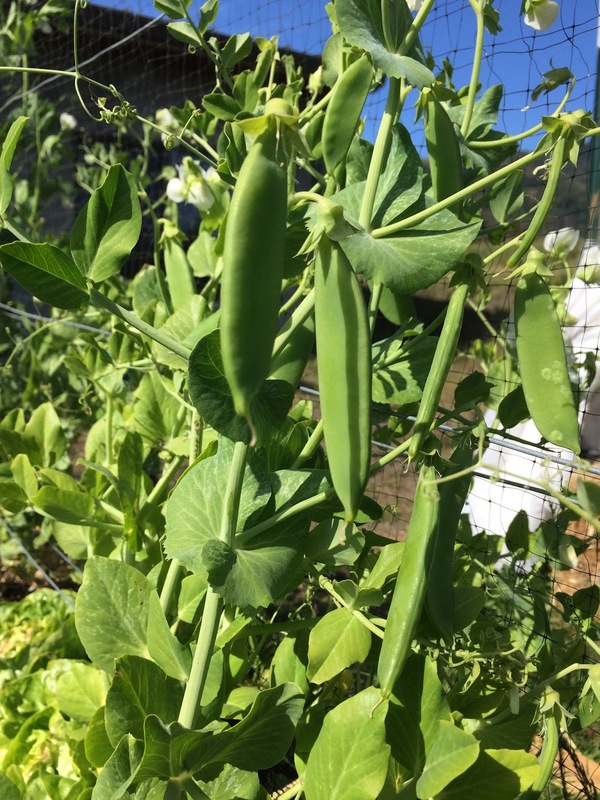 Shelling peas, first time ever growing! I am in a symphylan hot spot and just can't grow a garden here. You mention them in your blog and that the straw bales were doing well. Did you notice any when you harvested? Have you used straw bales again and did symphylans become an issue. Thanks for your reply and your help in this matter. Hi Curious, Thanks for your note. 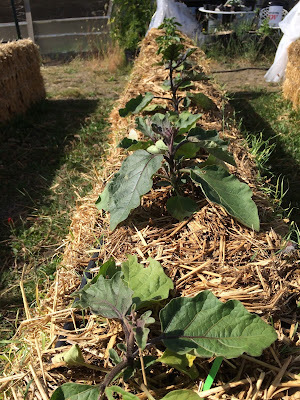 I have used the bales each year since I first made this post, and have not had trouble with symphylans in the bales. 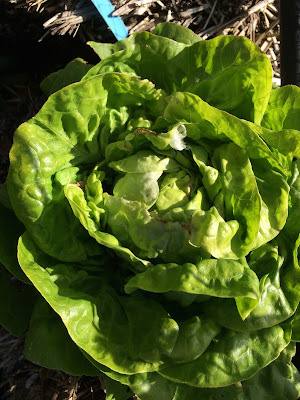 I use them for two rounds of planting, and they are "melting" and done by the spring, and then I spread them around as rich mulch around my fruit trees and perennials. They are usually full of worms and fungus. 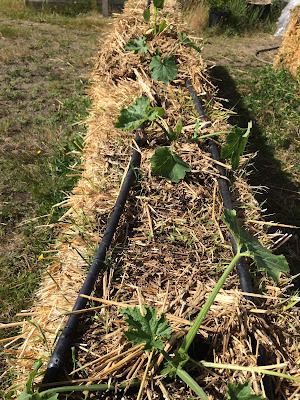 The bales do work best with overhead mini sprinklers, the drip only irrigation didn't provide enough moisture, and I also haven't had great results with the direct sow plants, things work much better with transplanting established seedlings. Best of luck!